I literally almost cancelled this session probably a hundred times. 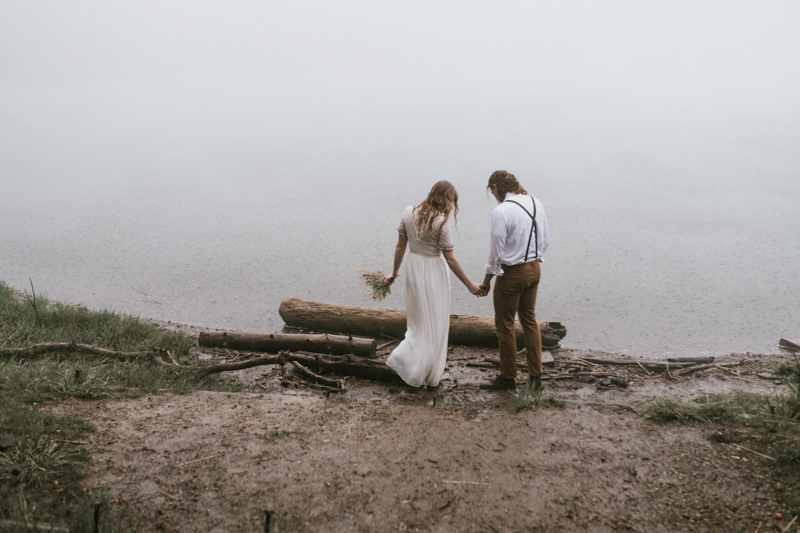 We had plans to go to this gorgeous lakeside up in the mountains for these bridals. I checked the weather and knew it was going to be rainy and did a constant back and forth on whether or not we should go ahead with it. That went on literally up to the minute that it was too late to cancel. I cannot tell you how glad I am that we went ahead with it. Seriously I love couples that are willing to go with the flow and embrace what happens. The rain was crazy and I was a bit on the nervous side that we may get struck by lightning but I'm so happy with the end result. I would say it felt like we were in The Notebook but it was way colder to me than they acted like it was in the movie. 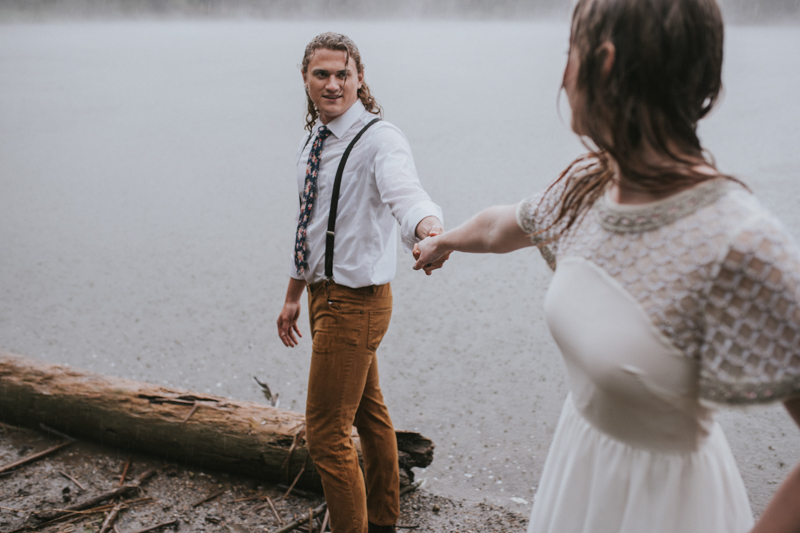 We froze our butts off and did this shoot in about 15 minutes, mayyyybe 20, took a few awkward drowned rat selfies and high-tailed it out of there. My idea of a good time. Also, I am so in love with the simple details of the dress and the sagebrush bouquet. I love doing things outside the box and a little less typical. This shoot was the bomb. Bri and Levi were awesome to hang with and I was so happy to have my friend Malissa there to share the adventure! Check out Malissa's gorgeous film photography HERE. Beautiful beaded dress from ASOS. Click HERE to see more like it.